As I rushed to work today, I attempted to change lanes on a highway and a car was in my blind spot. I DIDN’T SEE IT AT ALL, even though it was so close. I almost ran over them attempting to rush to get to my next destination. Just like the car on the high way today, you at times may “run over” the people who actually have your back as you rush to try to get to what is in front of you. Running over may look like, forgetting to acknowledge them, over assigning tasks to them, or just not showing appreciation. 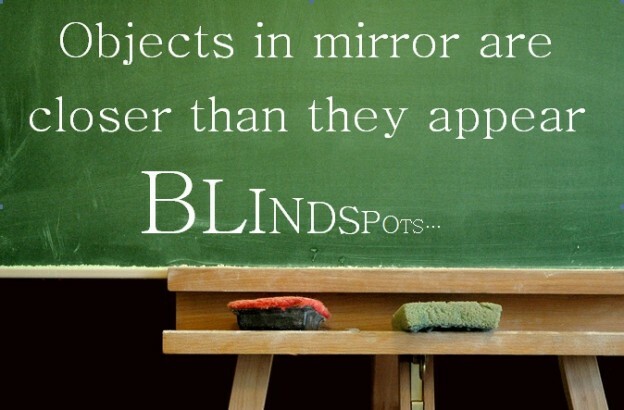 Make sure as you move forward in your goals and aspirations, you turn around and check your “blind spots”. You don’t want to run over (hurt) your supporters just because they are the closest to you. Tags: Blind Spots, Destination, Journey, Networking, New Beginnings. Bookmark the permalink. Previous post ← Refused to be Marked down!